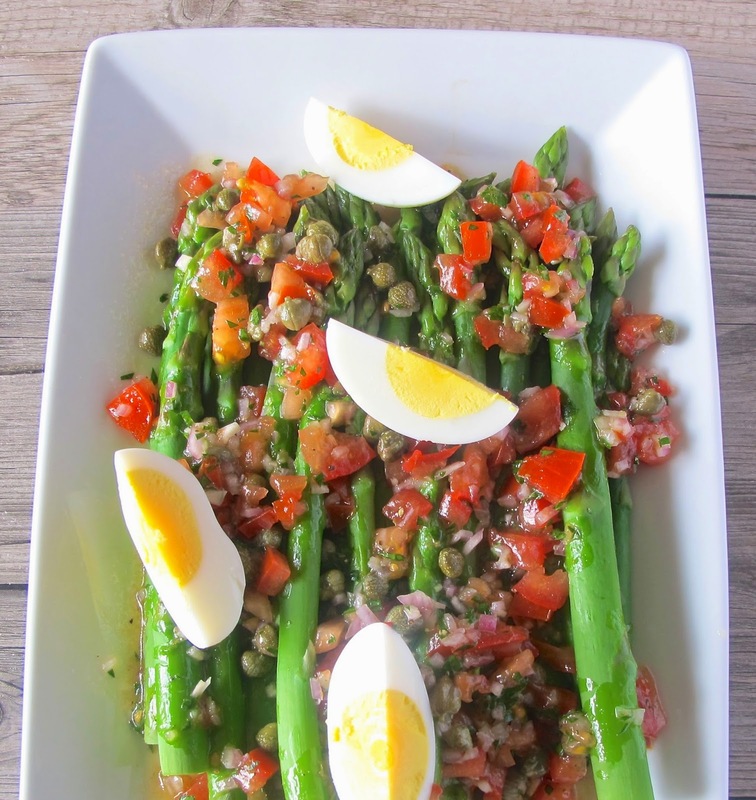 I served this salad for Easter dinner, it is perfect for spring or summer. This recipe can be doubled or tripled, as needed. In a small bowl, combine olive oil, capers, lemon juice, tomato, shallot, and parsley. Add salt and pepper and check seasoning. In a large pan of boiling water, add asparagus and cook until tender, about 3-5 minutes. Drain asparagus well and place on a platter. Spoon olive oil dressing over top of asparagus.